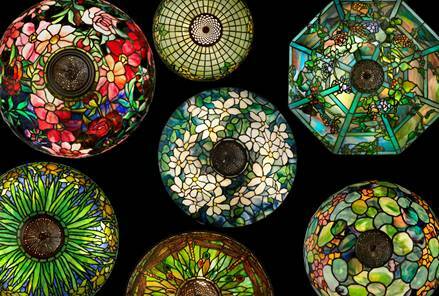 Huntsville, Ala. – Just in time for the holiday season, another world renowned exhibition is set to open at the Huntsville Museum of Art (HMA) on Sunday, October 21 – Louis Comfort Tiffany: Treasures from the Driehaus Collection. Presented by Iberiabank and Iron Mountain Solutions, the exhibition will be on view through January 13, 2019. Louis Comfort Tiffany: Treasures from the Driehaus Collection was organized by the Richard H. Driehaus Museum and is toured by International Arts & Artists, Washington, DC. It is a collection of more than 60 objects, spanning over 30 years of Tiffany’s prolific career and focuses on his magnificent stained-glass windows, floral vases, lamps and accessories. In celebration of the opening of this exhibition, the Museum will host a Lecture and Preview Party on Tuesday, October 23rd where guests will learn the history behind Tiffany and how his innovative processes impacted the world of decorative art from Lindsy R. Parrott, Director and Curator at the Neustadt Collection of Tiffany Glass at the Queens Museum in New York. Following the presentation, guests will view the exhibition, sample fine wines and passed canapés prepared by Chef Narvell, while listening to live music played by pianist, Curtis Lindsay, of the Huntsville Symphony Orchestra. Tickets are available now and seating for the lecture is limited. For more information about this exhibition and to reserve your seat to the Lecture and Preview Party, visit hsvmuseum.org or call 256.535.4350.
offers art classes for children and adults along with special programs, lectures and musical presentations. Rental space is also available for weddings, meetings and other events.